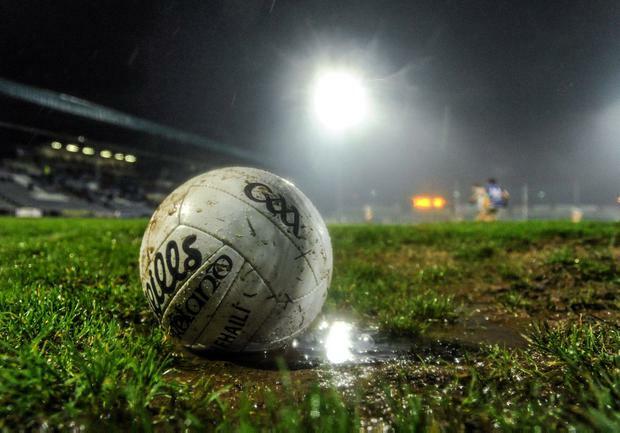 Wexford left Aughrim on Saturday afternoon with a smile on their faces after they lifted themselves off the floor of Division 4 with their second league win from five starts. With a near gale-force wind at their backs in the opening session, Wexford built up a 0-11 to 0-4 lead at half-time, thanks to four frees from centre forward Jonathan Bealin and two points each from Ben Brosnan and Conor Devitt. Wicklow failed to score in the second half for 12 minutes and thereafter were limited to four more points, with Wexford's sole point after the break more than enough. "We've been disappointed with our performances this year but we played smart football today' said Wexford manager Paul McLoughlin. Wicklow boss John Evans took solace in his team's positive performance in the trying conditions. "On a really bad day it was a ding-dong battle, but we took the game to them." Scorers - Wexford: N Bealin 0-4f, C Devitt, B Brosnan, N Hughes 0-2 each, K O'Grady, R O'Connor 0-1 each. Wicklow: C McGraynor (2f), S Duffy (2f) 0-2 each, D Healy, M Kenny, J Merrigan, C O'Brien, D Keane 0-1 each. Wexford - M Doyle 8, M Furlong 7 , G Sheehan 7, C Cart 7, G Malone 8, B Malone 7, M O'Neill 6 ,D Waters 7 N Hughes 8,B Brosnan 7, J Bealin 8, C Devitt 7, B O'Connor 6, E Nolan 7, K O'Grady 6. Subs: T Rossiter 7 for B Brosnan, T Byrne 6 for B O'Connor, E Porter 6 for K O'Grady. Wicklow - R Lambert 7, O Manning 6, R O' Brien 6, E Murtagh 7, D Devereux 7, J Snell 7, D Fitzgerald 8, P O'Toole7, D Healy 8, C Healy 6, C McGraynor 6, D Hayden6, M Kenny 7, C O'Brien 6, D Keane 7. Subs: J Merrigan 6 for C McGraynor, T Smyth 6 for C Healy, J Stafford 6 for D Keane, G Murphy 6 for C O'Brien, S Kearon 6 for D Hayden. Derry will be back in Division 3 after this victory over Limerick at the Gaelic Grounds on Saturday guaranteed promotion. Damian McErlain's side have made light work of all before them so far in this season's league campaign. Following the five-point victory over Limerick, McErlain said: "It's a very positive day for Derry to get back out of Division 4. It was very disappointing for the county to go down here. We responded well and nothing was easy in this division." Derry had to reverse a two-point half-time deficit to see off Limerick, after Colm McSweeney's goal put the home side in front. Christopher Bradley, Ciaran McFaul and Shane McGuigan led the second-half charge and helped the Oak Leaf County to eight points without reply. Limerick could only manage one point in the second-half. Scorers - Derry: C Bradley 0-6 (3f), S McGuigan 0-3 (2m), C McFaul 0-2, R Bell, K McKaigue 0-1 each. Limerick: C McSweeney 1-0, J Lee 0-2 (1f), S O'Carroll, C Fahy, P Nash 0-1 each. Derry - T Mallon 5; K McKaigue 7, M McEvoy 6, P McNeill 6; E Concannon 6, E McGill 5, J Rocks 6; C McKaigue 7, C McFaul 8; S McGuigan 8, C McAtamney 5, P Cassidy 6; C Bradley 8, D Hughes 5, R Dougan 5. Subs: E Lynn 6 for Dougan (h-t), R Bell 6 for Hughes (h-t), S Quinn 6 for McGill (43), P Coney 5 for Concannon (66), N Keenan 5 for Bradley (66). Limerick - D O'Sullivan 6; S O'Dea 7, G Noonan 5, P Maher 6; C McSweeney 6, I Corbett 5, G Browne 6; D Treacy 5, T Childs 5; P Nash 5, J Lee 6, A Enright 5; C Fahy 6, S O'Carroll 5, P Begley 5. Subs: P De Brún 4 for Enright (h-t), B Donovan 5 for Nash (45), J Liston 5 for McSweeney (56), M Fitzgibbon 5 for O'Carroll 56, R Lynch 5 for Childs (63). Ref - B Judge (Sligo). Defender James McGrath grabbed a late, late winner as Waterford made it back-to-back victories on Saturday at the WIT Arena. Only 86 supporters turned out in deplorable conditions for this early throw-in. The hosts trailed Antrim by five, but a Dylan Guiry goal on 57 minutes turned the tide. Points by Sean O'Donovan and JJ Hutchinson levelled matters for the sixth time before McGrath nicked it in the fourth added minute. Waterford put 14 men behind the ball at times, but the brilliant Patrick McBride notched three points for Antrim into the elements, while Tommy Prendergast and Hutchinson edged the hosts 0-6 to 0-5 ahead at half-time. Antrim scored 1-3 without reply on the restart as a goal by Stephen Beatty helped them into a 1-8 to 0-6 lead. Guiry then pounced on a misplaced pass by keeper Padraig Nugent and blasted home as Waterford finished strongly. Scorers - Waterford: D Guiry 1-1, F Ó Cuirrín (2f), JJ Hutchinson 0-2 each, S Whelan-Barrett, T Prendergast, S O'Donovan, J McGrath 0-1 each. Antrim: P McBride 0-4, S Beatty 1-0, M Fitzpatrick, O Eastwood, C Duffin, R Murray (f) 0-1 each. Waterford - A Beresford 5; S O'Donovan 7, J McGrath 8, B Looby 7; T O hUallachain 6, S Ryan 6, J Gleeson 5; S Aherne 5, T Prendergast 7; S Whelan-Barrett 6, D Guiry 7, F Ó Cuirrín 6; M Curry 5, C Murray 5, J Mullaney 5. Subs: J Allen 5 for Aherne (8), JJ Hutchinson 7 for Mullaney (26), D Hutchinson 5 for Ó Cuirrín (h-t), S Enright 5 for Beresford (h-t). ANtrim - P Nugent 6; P McCormick 6, R Johnston 5, M McCarry 6; N Delargy 5, P Gallagher 6, D Lynch 5; M Johnston 6, S Beatty 6; K Quinn 6, M Fitzpatrick 6, C Duffin 6; R Murray 6, P McBride 8, O Eastwood 5. Subs: R McCann 5 for Eastwood (h-t), E Walsh 5 for Delargy (54), J McAuley for Beatty (64), C Hamill for Gallagher (64), E Nagle for Duffin (67).